The British brand, which was originally created by Nokia in 1998, will cease manufacturing as it begins to liquidate its assets, resulting in a loss of about 200 jobs. 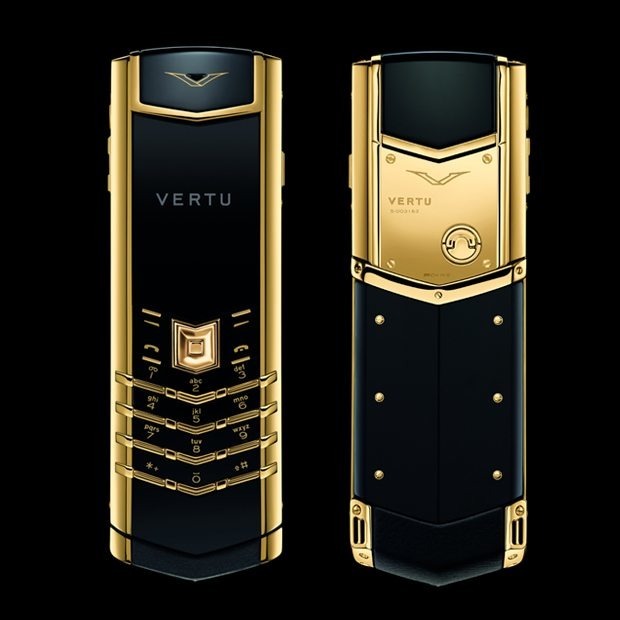 The company's owner plans to retain the Vertu brand, technology, and design licenses in an effort to potentially rebuild the company, according to the Financial Times. Over the course of its nearly 20-year history, Vertu sold about a half-million phones, making it an extremely niche —but still known —brand, even amongst tech enthusiasts. Perhaps most notably for iPhone users, Vertu used sapphire crystal screens on its handsets for superior scratch resistance. Apple famously inked a $578 million contract with sapphire maker GT Advanced in 2013 that led to speculation about sapphire-screened iPhones, but GT Advanced went under, and Apple only uses sapphire to cover its Touch ID fingerprint sensor and rear camera lenses. AppleInsider spoke with Vertu's head of design and concept creation Hutch Hutchison back in 2014 about sapphire. The company's first luxury mobile phone from the 1990s, the Signature, featured sapphire crystal screens some 14 years before Apple reached a contract with GT Advanced. 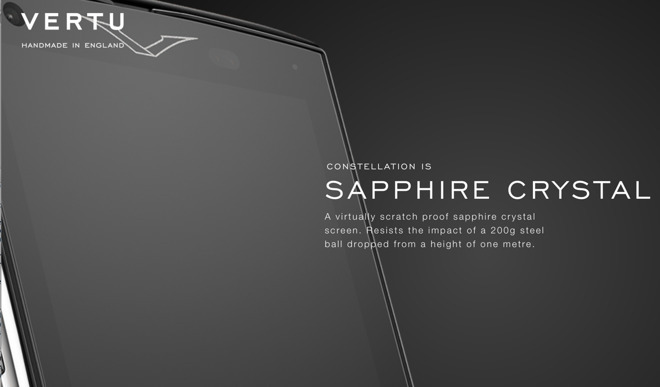 More recently, Vertu used fifth-generation solid sapphire screen technology in its Constellation smartphone, which sold for $6,630. The company boasted that its display was "virtually impossible" to scratch, as the material used was second only to diamond in its hardness. The collapse of Vertu occurred just as Apple is rumored to be moving even higher into premium pricing and materials with this year's flagship "iPhone 8" or "iPhone Pro." Reports have suggested that Apple could charge more than $1,000 for the entry-level price for the new handset, a cost justified by new technology and premium materials. Recent speculation has gone even further, suggesting Apple could charge more than $1,200 for a flagship professional-grade "iPhone 8" with components that could not be produced in mass quantities, such as an edge-to-edge OLED display and advanced new 3D facial recognition camera. For the mass market, Apple is also expected to introduce a new "iPhone 7s" series at traditional pricing levels matching that of the iPhone 7 lineup and predecessors. By sticking with legacy components, like an LCD display, Apple would be able to produce tens of millions of units to meet consumer demand, while the premium "iPhone 8" would be in limited quantities at a much higher price. Still, even if the "iPhone 8" were to approach $1,500 with higher capacities, it would still be well below the levels Vertu products reached. For example, the Vertu Signature Touch started at $10,300 when it launched in 2014. 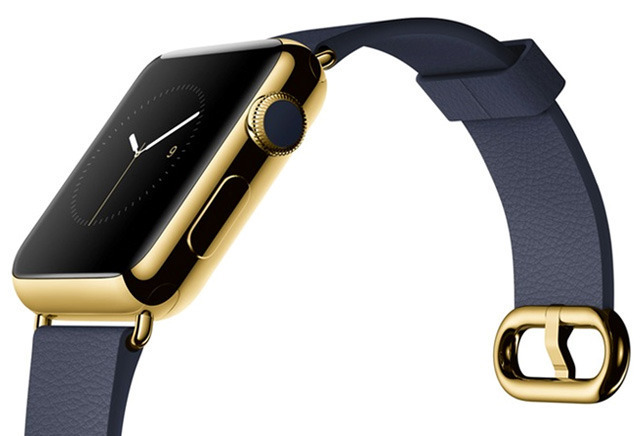 Apple did briefly dabble in high-end luxury with the launch of the first-generation Apple Watch Edition, which came in gold and started at $10,000, but went as high as $17,000. But with the second-generation Apple Watch Series 2, Apple course corrected and opted for a more affordable ceramic Apple Watch Edition, which carries a more palatable starting price of $1,249. Given how short-lived Apple's foray into real gold lasted with the Apple Watch Edition, it's unlikely that the company is plotting a five-figure iPhone made from rare metals. Unlike Vertu, which embraced the excess in handsets, Apple instead offers its iPhone in faux gold and rose gold aluminum. Don't expect that to change to authentic gold anytime soon.